The Directors at IEH Consulting together bring with them many decades of experience in toxicology and risk assessment, gained in various organisations including industry, academia, government and government research institutes, independent consultancy and contract toxicology sectors. In addition, we have a number of highly experienced Associates with whom we work to expand both the range of expertise and the capacity we can offer. Paul has worked as an independent consultant since 2008 and is Owner/Director of PTCH Consultancy Limited. He is a Fellow of the Society of Biology and the British Toxicology Society, and until recently was Visiting Professor in Environment and Health at Cranfield University. Paul’s previous positions have included Senior Toxicologist at BP’s Occupational Health Centre where he was responsible for advising on the toxicity of various chemicals and products and for the unit’s research quality assurance programme. He joined the UK Department of the Environment in 1991 and became Head of the Indoor Air Quality and Major Accidents Branch of the Toxic Substances Division before being seconded to the Medical Research Council in October 1993 to help establish the Institute for Environment and Health (MRC-IEH) at Leicester University. He was appointed Acting Director of MRC-IEH in July 1998, and became Director of the Institute when it moved to Cranfield University in November 2005. Paul has held positions on various expert groups and committees including the UK Chemicals Stakeholder Forum (Deputy Chair), EC Expert Group on Indoor Air Quality, DH Committee on the Medical Effects of Air Pollutants, the Expert Panel on Air Quality Standards, the Advisory Committee on Hazardous Substances, the Food Standard’s Agency Working Party on Chemical Contaminants in Food, and the Interdepartmental Group on Health Risks from Chemicals. He was also the founder Chairman of the UK Indoor Environments Group. He has published many scientific papers and articles on a broad range of environment and health issues, notably indoor air quality, endocrine disruption and fibre toxicology, and is on the editorial board of several distinguished journals. He is also past Chairman of the CranfieId University Health Research Ethics Committee. Ruth has acted as an independent consultant since 2015 following her departure from Cranfield University where she held the position of Senior Lecturer in Human Health Risk Assessment, within the Institute of Environment and Health. Prior to joining Cranfield University, Ruth gained a BSc (Hons) in Applied Biology and PhD in Immunochemistry. Her post-doctoral studies on the detection of free radical damage to biomolecules were carried out at the University of Leicester. 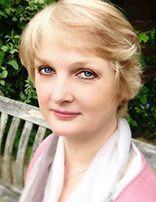 Ruth’s current expertise lie in toxicology and human health risk assessment in areas connected with environmental or occupational exposure to chemicals and she brings over 25 years’ experience to IEH Consulting. Her particular interests lie in the fields of biomarkers of both exposure and effect and in the setting of biological and occupational guidance values. Ruth has published on a broad range of environment and health issues, notably in the field of occupational cancer burden and biomonitoring of environmental exposures (including via consumer articles, drinking water, food and air). Ruth has extensive experience of project organisation and management for a wide range of clients. More recently she has become involved with the setting of guideline values for chemicals in drinking water and sits on the chemical expert working group for the WHO. In addition, Ruth is an editor for the Journal of Water and Health, a fellow of the Society for Biology (FSB) and a long-standing member of the British Toxicology Society. She has also past Vice Chair and acting Chair of the Cranfield University Health Research Ethics Committee. Jason Weeks is Director of ERA and Head of Business Development and Marketing, JNCC. 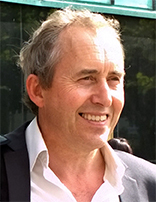 He has over 25 years’ experience as an ecotoxicologist with extensive experience in the environmental, food and aquaculture sectors. Over this period Jason has been instrumental in the successful delivery of significant international aid funded project work, including in Latin America, SE Asia, Australasia, Canada, Central and Eastern Europe, Central and Middle Asia, the Caribbean, Korea and Africa. He has extensive experience of delivering and managing large scale technically challenging applied ecotoxicology projects. Jason is an internationally recognised expert on ecological and environmental risk assessment, environmental monitoring and auditing, Environmental Impact Assessment, ecotoxicology and socio-economic studies. He is an accredited CPD trainer, Chartered Biologist and Environmentalist and Member of CIEEM and Fellow of the Royal Society of Biology. Former Chief Scientist of the UK Water Research Centre, he has particular experience in understanding the fate, effects and ecotoxicity of chemicals relating to industrial, mining, contaminated land and agricultural pollution to biota. Jason has been responsible for the design and execution of projects on behalf of organisations such as the UK Department for International Development (DfiD), WHO, World Bank, FSA, EFSA, FAO and the UN. Jason has managed complex research projects and consortia and represented a number of organisations as an invited expert. He has published in excess of 120 peer-reviewed scientific papers on a broad range of subject areas. Jason was a former scientific advisor to the Argentinian Government and expert consultant to WWF, UNIDO and the World Bank. Jason was recently Chair of an ad hoc Expert Group for the European Medicines Agency, and is presently a co-opted member of the CVMP for environmental issues. 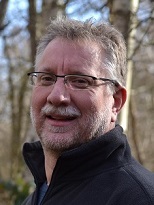 Jason was formerly Professor of Environmental Risk Analysis at Cranfield University and (amongst other roles) Veterinary Medicines Programme Director at Cefas, being responsible for the innovation and development of aquaculture therapeutants. He is a marine biologist by training and has worked on the significant challenge of ensuring the continued supply of sustainable and healthy aquatic food chains at the same time as increasing intensification of farmed fish and shellfish.